In this post we shall understand the best use of Table-Valued Parameters and how we can use them to marshal multiple rows to the database(SQL SERVER) from UI. In this post e shall understand the limitations of Table-Valued Parameters. Column values in table-valued parameters can be accessed using standard Transact-SQL SELECT statements. Table-valued parameters are strongly typed and their structure is automatically validated. The size of table-valued parameters is limited only by server memory. In this example we create a MyTable Table and pass the table variable to insert data using stored procedure. 1. You cannot return data in a table-valued parameter. Table-valued parameters are input-only; the OUTPUT keyword is not supported. 2. You cannot pass table-valued parameters to CLR user-defined functions. 3. Table-valued parameters can only be indexed to support UNIQUE or PRIMARY KEY constraints. 4. SQL Server does not maintain statistics on table-valued parameters. 5. 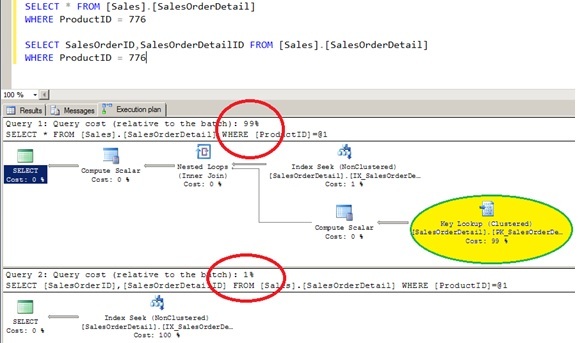 Table-valued parameters are read-only in Transact-SQL code. You cannot update the column values in the rows of a table-valued parameter and you cannot insert or delete rows. 6. If you still want to modify the data that is passed to a stored procedure or parameterized statement in table-valued parameter, you must insert the data into a temporary table or into a table variable. 7. You cannot use ALTER TABLE statements to modify the design of table-valued parameters.